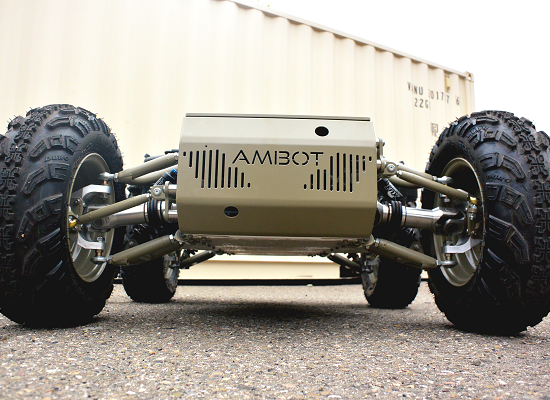 AMBOT is an industry leader in mobile platform technologies. We offer a variety of platform configurations that come standard with features to make them the most versatile, easy to configure and operate systems on the market. 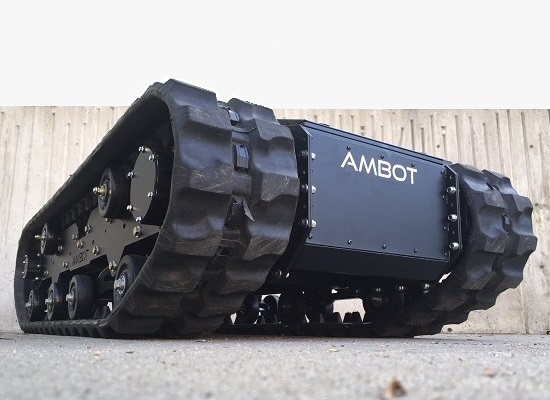 Attributes like open architecture, four-wheel steering, heavy payload capabilities and high speeds make AMBOT platforms a top choice for military, industrial and research operations. So yesterday after charging the batteries we took the platform out for a spin. And that was great I must say. Bumps, slopes, bumps on slopes, steps, sand,.. no problem at all. This is very promising for our planned application.